These cloths are my favourite! 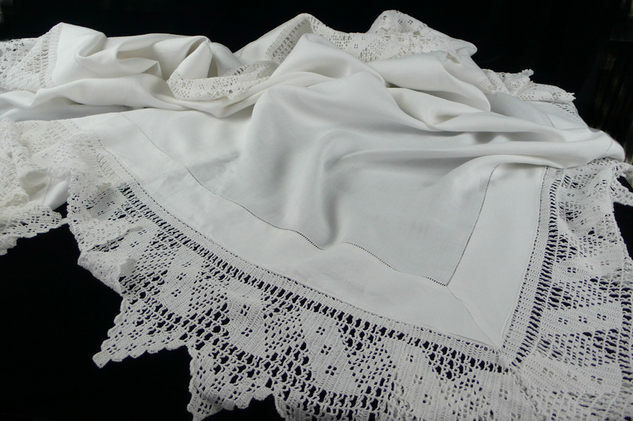 This one is softest vintage cotton, hand worked and cornered and then given a narrow ladder pattern border. Around the edge the maker has added a beautiful, hand crocheted, deep border. And then they stopped - because you couldn't make this cloth any more beautiful! 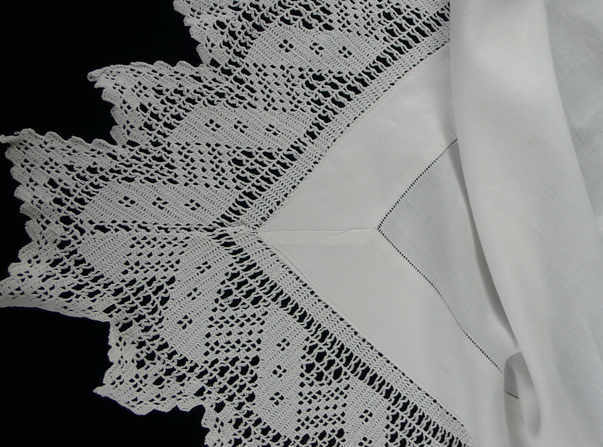 The cotton measures 114cm x 114cm and the crocheted lace border adds another 16 cm at its widest point. 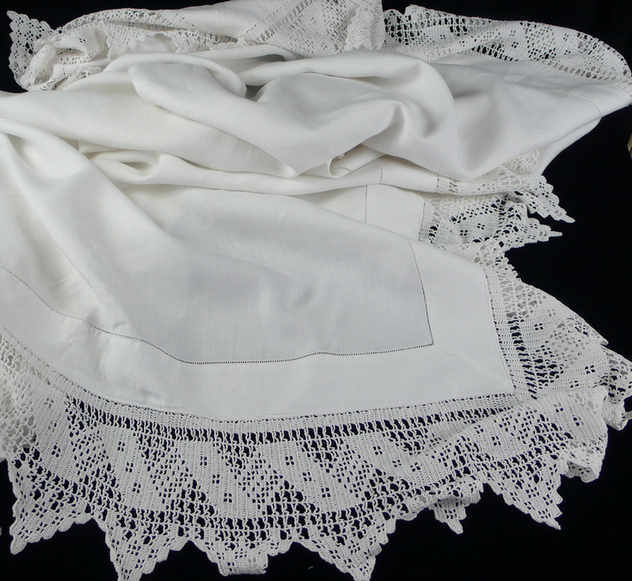 The cloth is unmarked and will look beautiful wherever you put it!